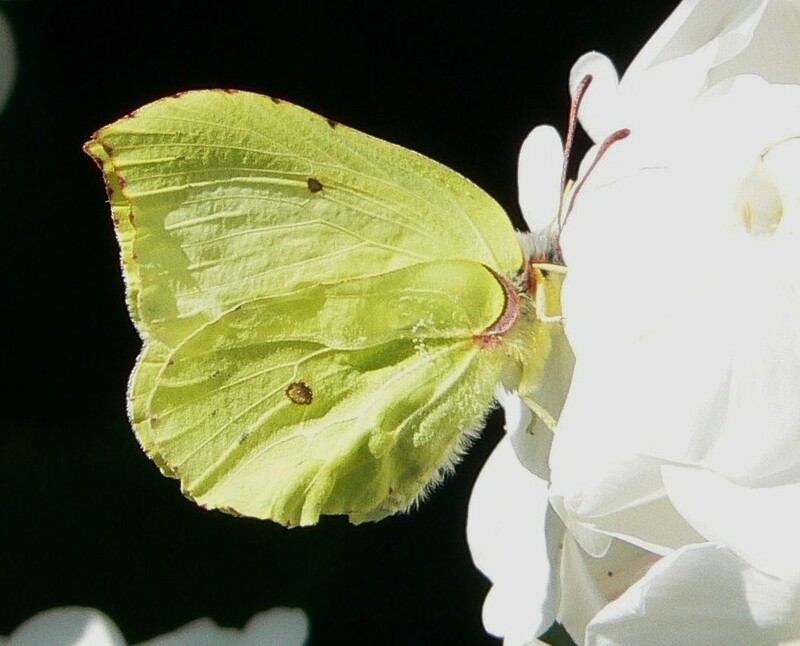 It is commonly believed that the word 'butterfly' is a derived from 'butter-coloured fly' which is attributed to the yellow of the male Brimstone butterfly, the female being a much paler whitish-green. 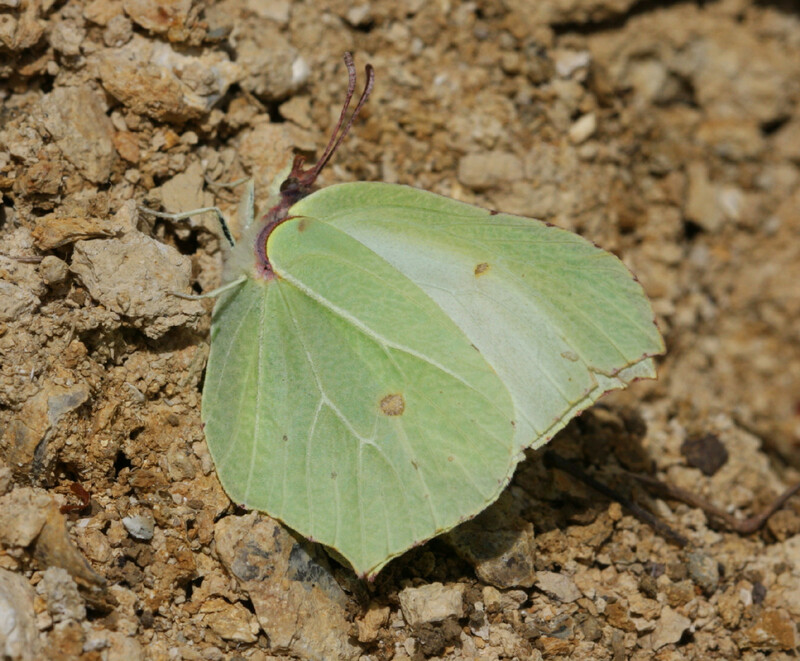 The Brimstone has a most exquisite wing shape, perfectly matching a leaf when roosting overnight or hibernating within foliage. 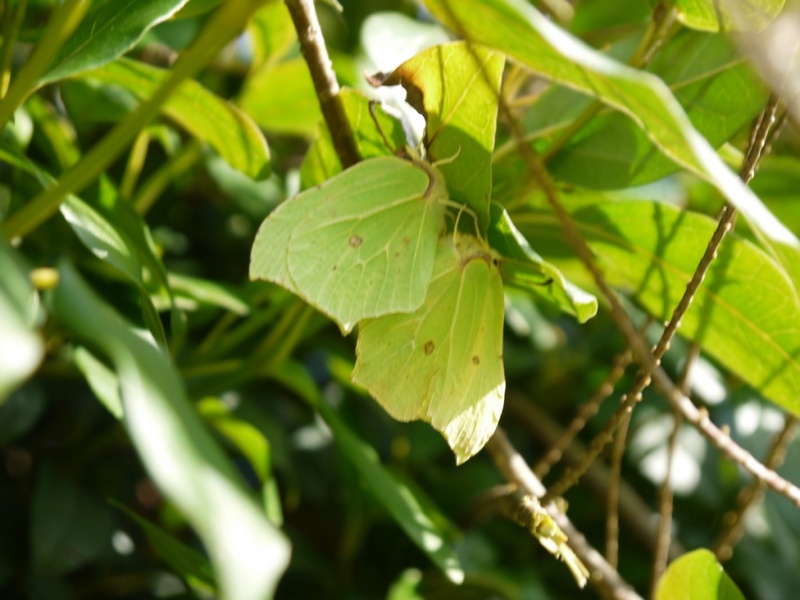 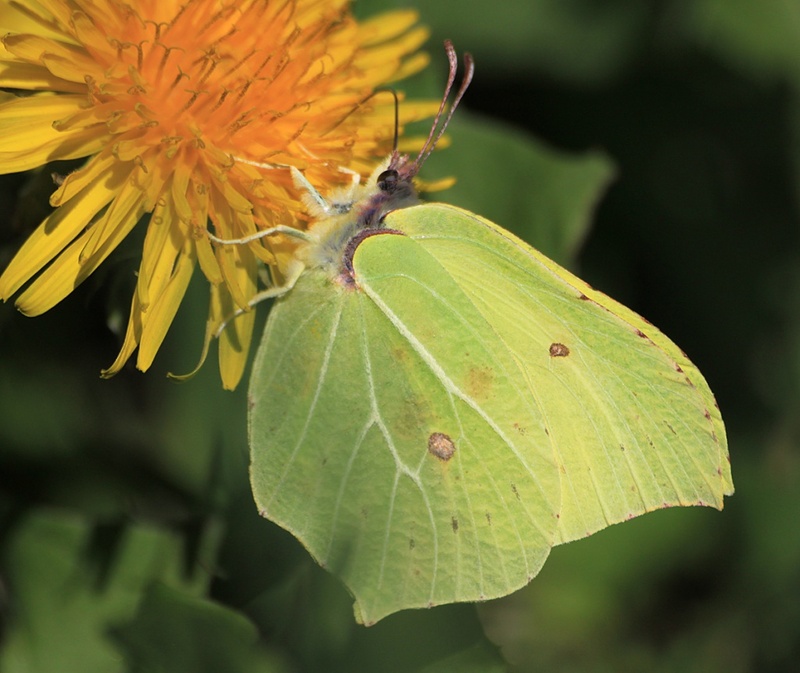 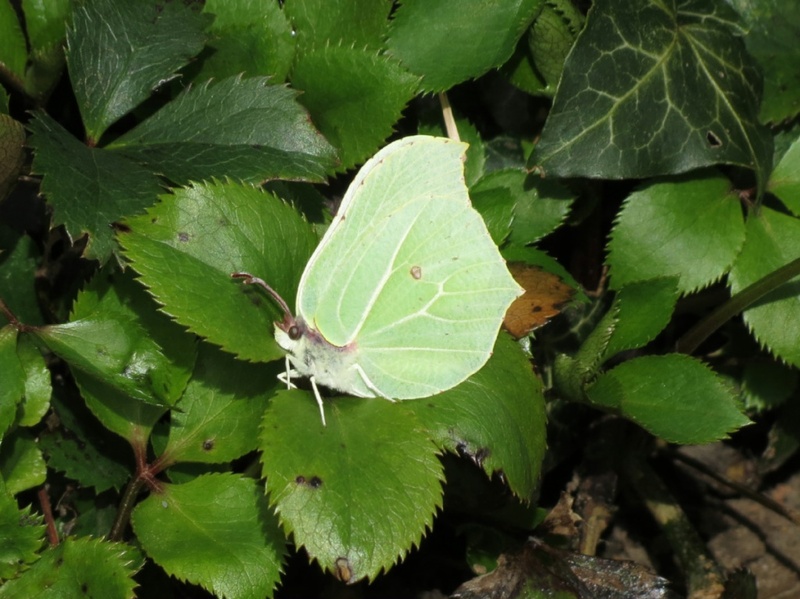 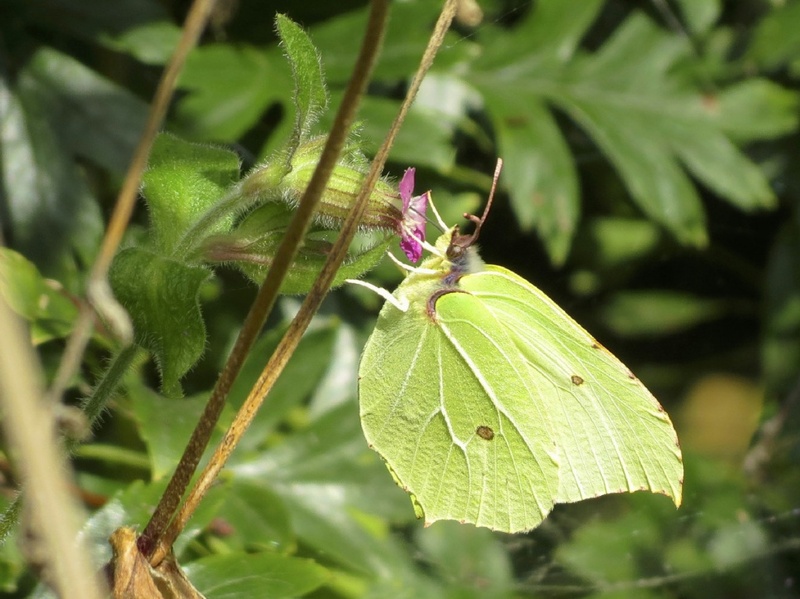 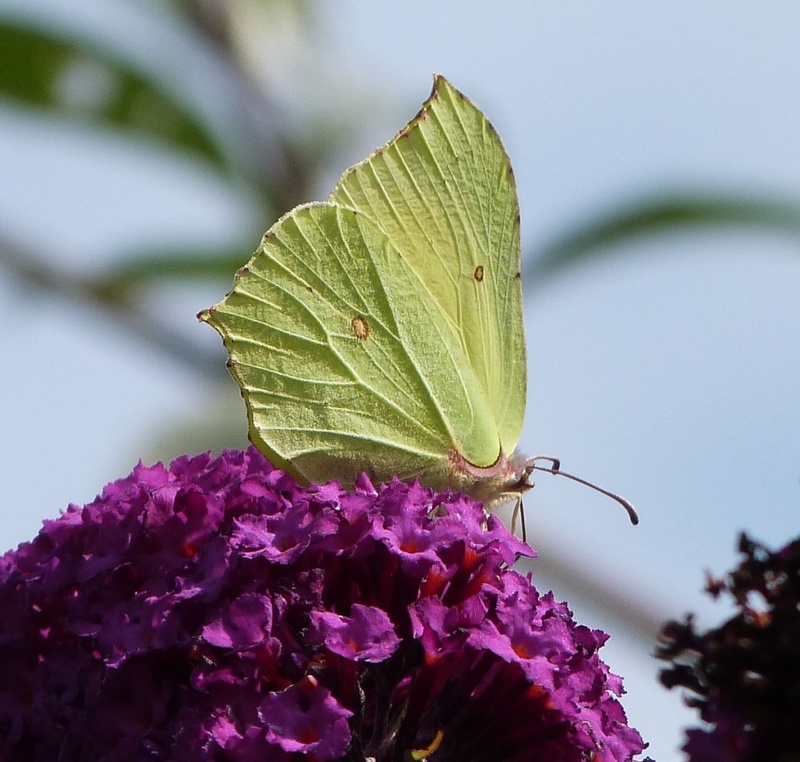 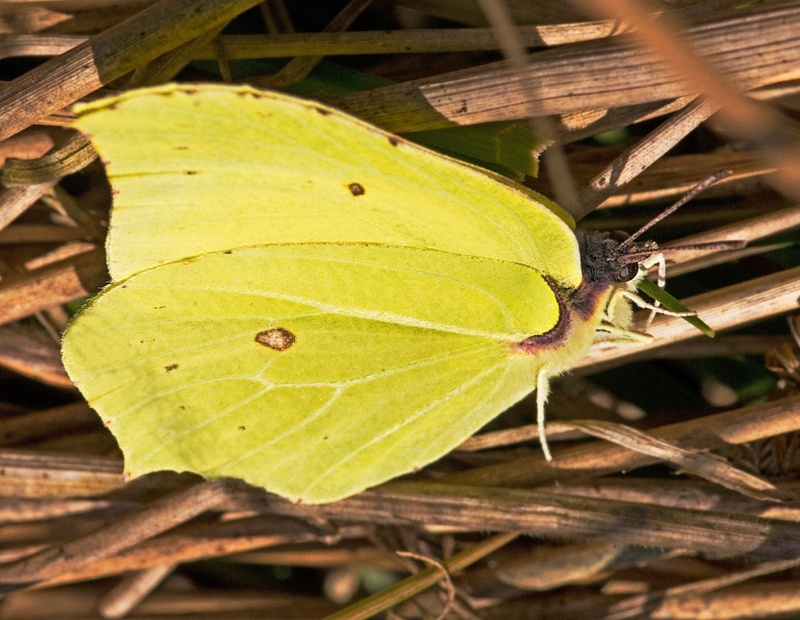 The Brimstone is a great wanderer and can be found in almost any habitat, from chalk downland to woodland rides to gardens. 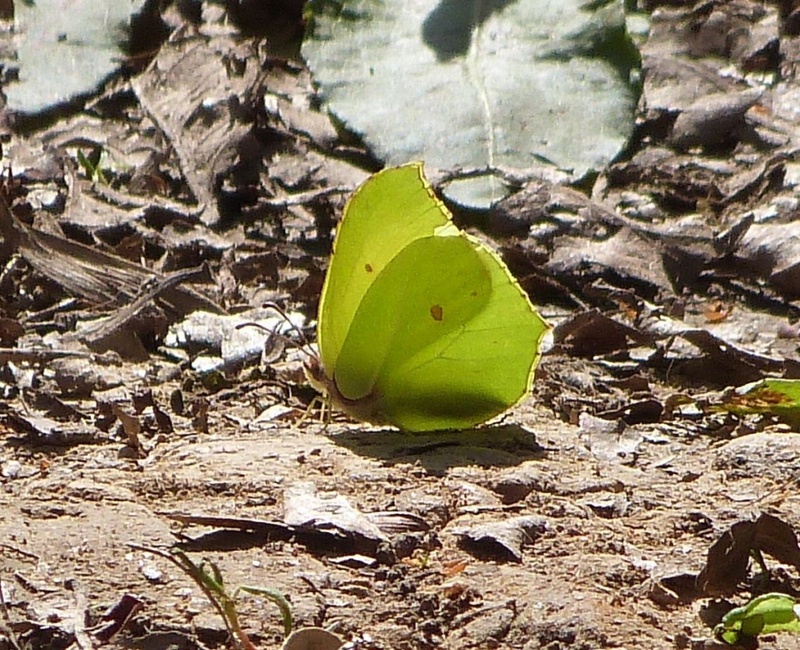 This is one of the few species that hibernates as an adult and, as such, spends the majority of its life as an adult butterfly. 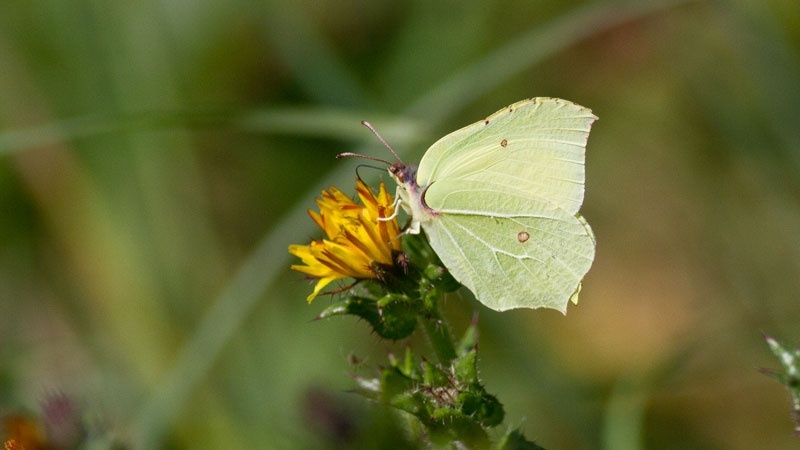 This single-brooded butterfly can be found in most months of the year, although peak flight times are in April and May as the hibernating adults emerge, and again in August when their offspring reach adulthood. 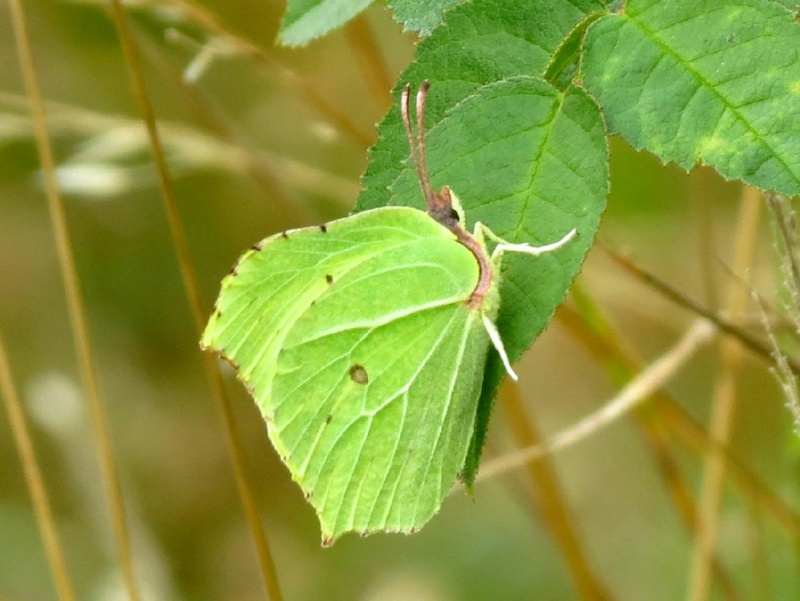 Autumn is a good time to see this species as the adults are avid nectar-feeders as they build up their fat reserves in preparation for hibernation. 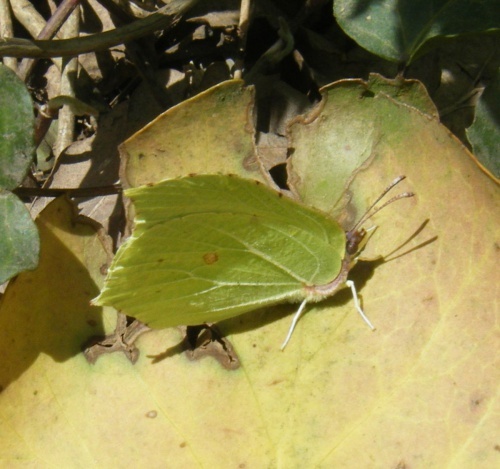 The distribution of this species closely follows that of the larval food plants Buckthorn and Alder Buckthorn. For this reason the species is rarely seen in parts of Wales, northern England and Scotland.